Bonny Becker is the author of many award-winning picture books and middle-grade novels, including the New York Times bestselling A Visitor for Bear, illustrated by Kady MacDonald Denton. Noah Klocek is an art director at Pixar Animation Studios, and he's worked on such films as Brave, Up, and WALL-E. He's currently working on Inside Out. Cloud Country by Bonny Becker is an adorable children's book! The illustrations are both whimsical and relaxing, making it a perfect story for bedtime. Gale the cloudlet has a hard time making cloud shapes like her cloud friends. She tries and tries to create cloud shapes like her friends but simply cannot. Little does she know she was destined for something greater. My kids thoroughly enjoy this book and often ask to read it for their bedtime story. I love how well written this book is and that the illustrations match the words on the page beautifully. What a wonderful book! 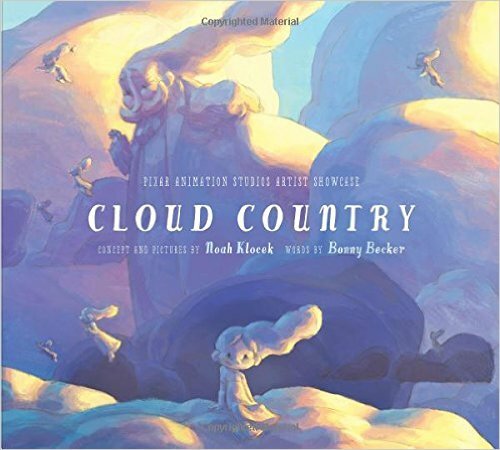 You can find Cloud Country by Bonny Becker on Amazon, Barnes and Noble and other bookstores.